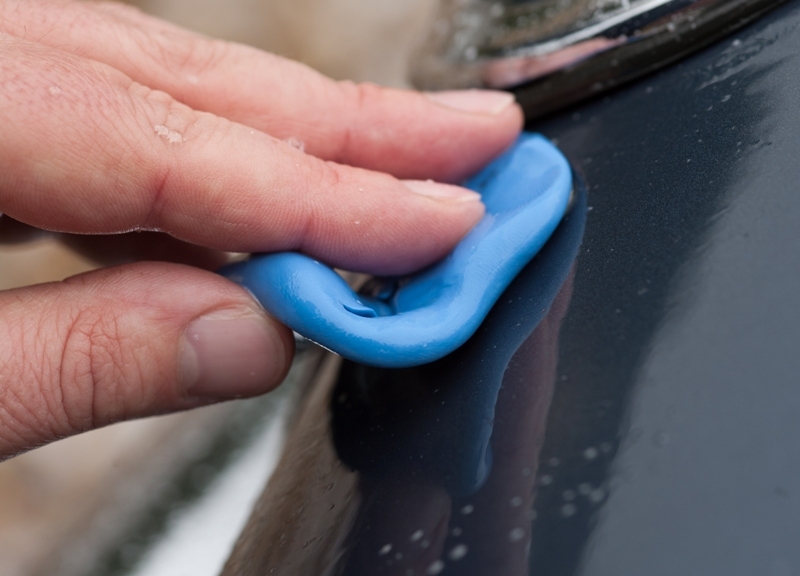 Clay bars, like Scholl Concepts Eraser Clay, are used to decontaminate paintwork, safely removing insects, brake dust, stubborn road grime, surface rust, tar, exhaust soot and oxidation. A complete claying is only really necessary once or twice a year on a frequently used road car, so an annual exfoliation will be ample on a garage queen! That said, they are also useful for removing occasional tough-to-shift stains and marks during a detail. 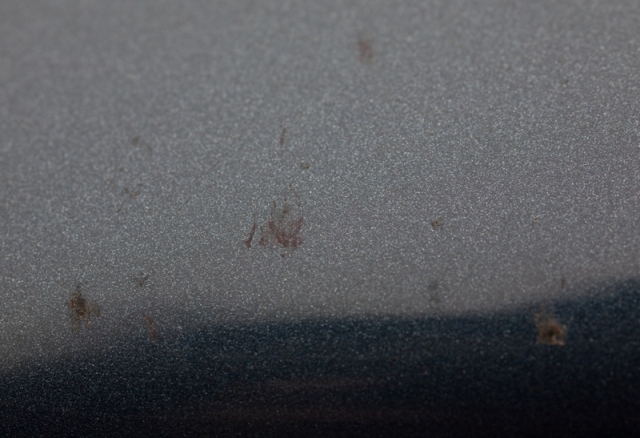 Pic Above: Contaminated paintwork, before Claying. A fine to medium clay is recommended. Break off a third of the bar and mould it into a disk (see pic below right). 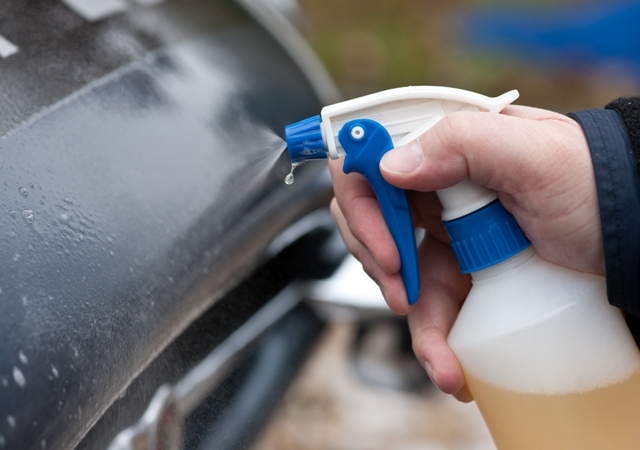 Spray-on a lubricant like SP Wonderspray or SW10, a quick detailer or a very weak, mild car shampoo solution, and gently glide the clay over the paint’s surface. If you’ve used a tar and glue remover on your vehicle, ensure any solvents in such treatments have evaporated prior to claying. Work in 2ft sections, in straight lines, in both directions. You’ll be able to hear and feel when the contamination is removed and in time you’ll sense smoothness underhand. That’s when it’s time to move onto the next section. The clay will pick up the contamination as it removes it, so knead it periodically and start again with a clean surface. Like the washing process, start with the roof and work your way down, finishing with the dirtiest part of the car. A used bit of clay can be handy to keep for wheels, but if it gets too dirty or you drop it on the ground, throw it away - otherwise you’ll do more harm than good! 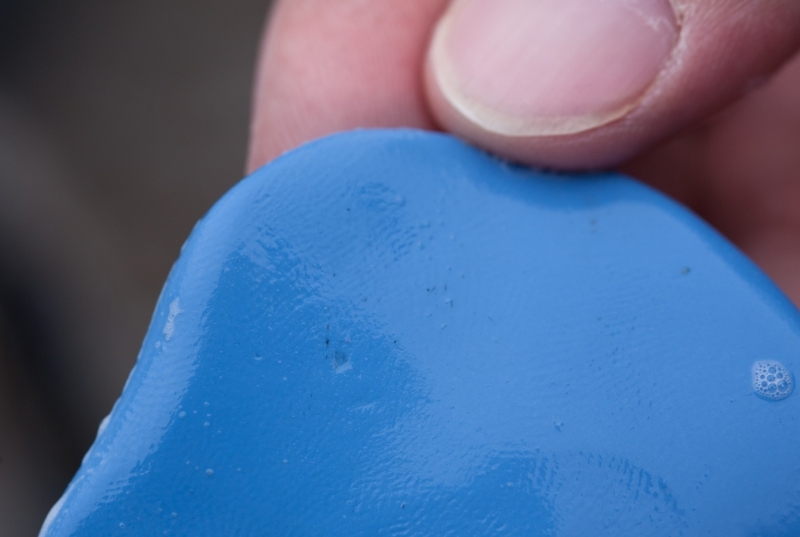 Be aware that clay bars are mildly abrasive and can mar (dull) the surface of the paint – although this isn’t anything to worry about. 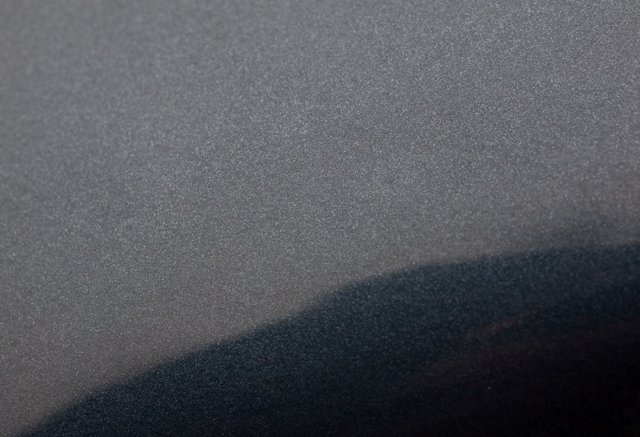 You can dry your vehicle prior to claying, but each detailer tends to have his own technique and some prefer to clay after rinsing. After claying you will have a squeaky clean, blank canvas to work on. Pic Left: Clean paintwork, after Claying. If you’re planning on using a traditional all-in-one polish after claying, consider using a less aggressive bar such as the Spautopia White Clay Bar.